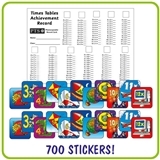 These stickers are great to award children who are excelling with their 10 times table. 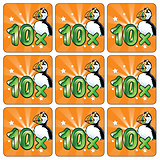 Featuring our friendly puffin design & designed in orange & green these stickers will be loved by your learners! Stocking up? 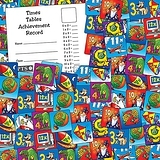 View more Times Tables products here.